Hosted by the Tunbridge Wells International Music Festival. FREE OF CHARGE. All welcome to attend, no booking necessary. And the church is open to the public so you may come and go as you please. 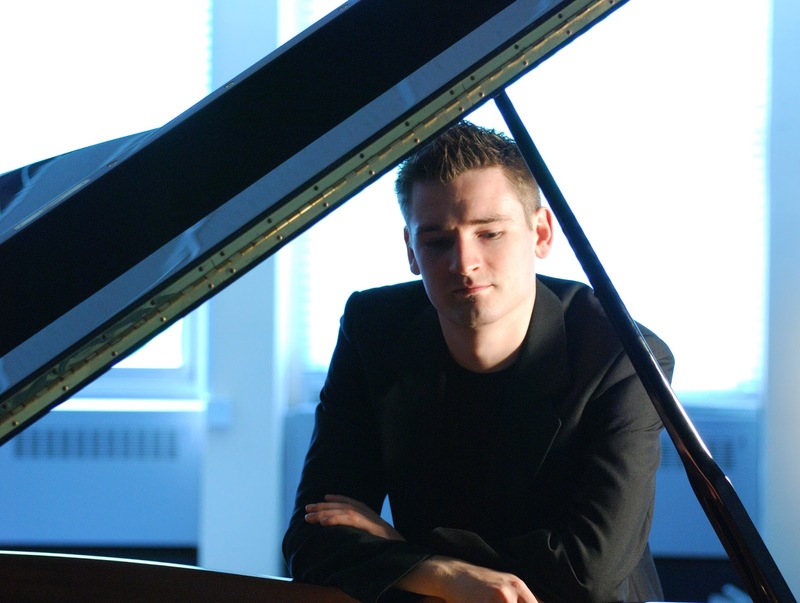 He has performed as a soloist with the Minnesota, Hallé, Moscow Symphony and Bournemouth Symphony Orchestras, the London Mozart Players, and all five of the major Irish orchestras, and performed at the Tanglewood Festival, Wigmore Hall, London, Berlin Konzerthaus, Suntory Hall, Tokyo, Lincoln Center, New York, Symphony Hall, Boston and Pesti Vigadó in Budapest. 2016/17 performances include concerto performances with the City of London Sinfonia and the Jacksonville Symphony Orchestra in Florida, and a début concert at the Tokyo Spring Festival. Future engagements include a début in the Dublin National Concert Hall's International Concert Series performing the Schumann Concerto with the City of London Sinfonia. His critically acclaimed solo album, The Irish Piano, was released in 2012 by RTÉ lyric fm and selected as ‘CD of the Week’ by the critic Norman Lebrecht. More recent solo releases include Schubert: Four Impromptus on Ergodos, Miniatures and Modulations on Grand Piano, and a first orchestral album, Irish Piano Concertos, featuring works by John Field and Philip Hammond with the RTÉ National Symphony Orchestra and conductor Courtney Lewis, supported by a Major Individual Award from the Arts Council of Northern Ireland. His discography also includes releases on Delos, Nimbus Alliance, Champs Hill, Lorelt, Louth CMS and seven duo recital albums on Chandos with clarinettist Michael Collins. Upcoming projects include a recording of Strauss’s ‘Burleske’ with the BBC Symphony Orchestra on Chandos, and a first album with the McGill/McHale Trio on the Cedille label, featuring world premiere recordings and special narrations by Oscar-winning actor Mahershala Ali. Michael collaborates regularly with Sir James Galway, Michael Collins, Patricia Rozario, Dame Felicity Lott, the McGill/McHale Trio and Camerata Pacifica. view his website for some video clips. On 21 October we look forward to hearing Follia, the Baroque ensemble led by harpsichordist Yeo Yat-Soon. 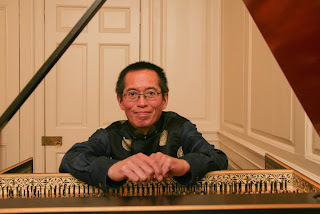 As a teenager he began harpsichord studies with the distinguished harpsichord maker Malcolm Rose who was then based in nearby Mayfield and was given significant encouragement in early music performance by Richard and Katrina Burnett at Finchcocks in Goudhurst. Yat-Soon went on to study music and historical musicology at King’s College London. He continued with postgraduate studies in harpsichord and conducting at the Guildhall School of Music, during which time he won the prestigious Raymond Russell Prize for Harpsichord. He performs widely as a soloist, specializing in concerts in historic buildings. Recent venues include Handel House Museum, Craxton Studios, the Chapel Royal at Hampton Court, Strawberry Hill House, Holywell Music Room in Oxford and the Kammersaal Friedenau and Musikinstrumenten-Museum in Berlin. Yat-Soon also specializes as a baroque opera conductor and has worked with London Baroque Opera, City of London Festival and Opéra de Baugé, for whom he conducted Monteverdi’s L’Incoronazione di Poppea in 2016. He plays with the ensembles Follia, The Stanesby Players and Camerata Berolinensis (Berlin), and has performed regularly at the South Bank and St John’s, Smith Square. He has broadcast for BBC Radio 3 and Classic FM radio, and BBC1, BBC 4 and Channel 4 television. 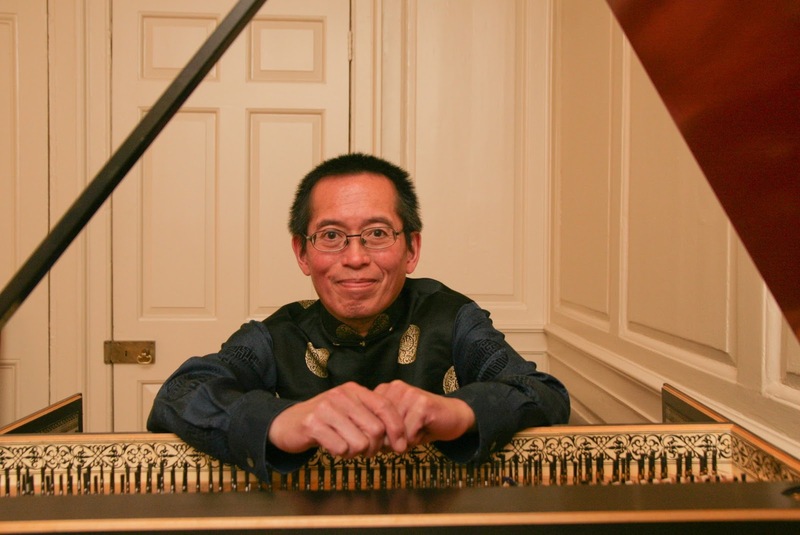 Yat-Soon has had a long association with education, and has been Director of Music at The Lady Eleanor Holles School and St Paul’s Girls’ School, where his predecessors included Gustav Holst and Herbert Howells. He currently teaches harpsichord and chamber music, and lectures on historical performance practice at the Centre for Early Music Performance and Research at the University of Birmingham. Yat-Soon still very much regards Tunbridge Wells as a spiritual home-town. He first performed at King Charles the Martyr Church in 1988 and has returned on numerous occasions since. He is delighted to be coming again on 21 October with his group Follia with a programme commemorating the 250 th anniversary of the death of the German Baroque composer Georg Philipp Telemann, with works by Telemann and his French contemporaries.